Extrudergirl – Creating with clay is a natural choice, a sustainable way, and an environmental decision for me. Kristen Kieffer is not a typical potter. Most concentrate on only the production side of their profession and not the social side of ceramics. Within the ceramic industry, Ms. Kieffer is known not only for her quality pieces but for the remarkable way she has been able to promote herself as a brand in social media. Ms. Kieffer maintains an extensive website, a monthly blog, an e-newsletter, and postings on social media channels such as Facebook, Twitter, Instagram, and Pinterest. Ms. Kieffer has made it easy for the consumer to connect with her through cross-promotions of these digital platforms which also increases her discoverability. The consumer and fans of Kieffer Ceramics can see that within Facebook and Twitter, Ms. Kieffer is posting the same type of material such as announcements with reciprocal links between both channels. A Kieffer Ceramic’s blog viewer and follower can read within a blog about a ceramic topic, which then links this person to Kristen Kieffer Ceramic Etsy store. Ms. Kieffer has been able to provide some of the best social media practices such as the expansive social media presence mention above; additional practices which impact her social media efforts include consistent branding, relevant content, and building social relationships through engagement. Whether on her blog, her social media channels, or in her Etsy store, Ms. Kieffer has been able to visually and consistently represent her brand with the same type of photographs emphasizing her style of work and personality as seen above. Her content is relevant to the ceramic industry as well as collectors of the style of pottery she offers. Ms. Kieffer explains ceramic processes she uses, new techniques she brings to the studio, and valuable tips which provides a value added to consumers and fellow potters when visiting her digitally. Ms. Kieffer responds to mentions, questions, and comments encouraging on-going engagement. Her blogs are often of current ceramic topics which demonstrates she is listening to what the social media community is talking about. Ms. Kieffer presents the same clear headers and backgrounds across the different digital media channels building a consistent brand image. Within the digital platforms, Ms. Kieffer offers relevant ceramic content, which she creates as well as shares from other notable potter or ceramic industry companies. Ms. Kieffer maintains up-to-date conversations with followers and consumers as well as demonstrates listening and observing on the social landscape. Ms. Kieffer has established how maintaining an expansive social media presence through cross-channel promotion has a direct impact on discoverability, engagement, brand awareness, and return on investment. 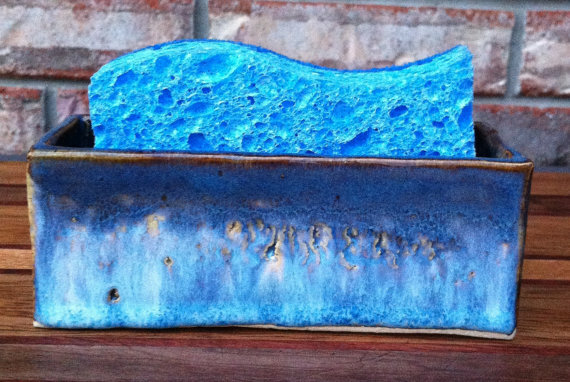 Click here to own on of Ms. Kieffers ceramic pieces. Humans have been creating with clay as early as 24,000 BC and functional pottery such as vessels for storing food and water has been noted as being present since 10,000 BC. This ability to create plates, bowls, and cups to use, trade, and sell makes ceramics one of the most ancient industries. The core of pottery: sculptural forms, decorative pieces, and functional ware have been re-invented time again. Even how potters have promoted their works, through traditional marketing tactics including word of mouth, trade, pictures, books, galleries, museums, have been consistent and one-sided. Today, digital marketing through a potter website, his or her blog, and social media channels such as Pinterest, Instagram, and Facebook, has widened exposure instantaneously and globally as well as a two-way form of communication. With changes in human behavior and technology, the ceramic industry will have move towards future trends such as mobile brand messaging, social media real life integration, and co-creating with brand advocates. These changes will generate financial and physical growth for company brands willing to evolve and participate. Just as industrial revolution ignited the forward movement for ceramics with the creation of electricity for safer and faster kiln firings increasing production drastically, the growth of smartphones is driving consumers into the hands of brands. Mobile brand messaging will enable personal interactions between brands and consumers. A new study about retail mobile messaging was released by OtherLevels documenting that messaging frequently, especially through a brand mobile application, can provoke the consumer to engage more with the brand. For instance, a potter can send a message announcing a holiday oriented promotion or offer app features such as list generation, product finder, and real time in stock inventory. By 2017, it is projected that over 50 percent of commerce will be conducted on mobile devices. This will result in the more a brand send messages, the more it will sell. As technology changes, options such as mobile wallet will take brand messaging one step further enabling the consumer to instantly by a product from a push message before he or she arrives at the brand store. In the process of eliminating the gap between “technology” and “life”, social media will launch the opportunity to connect the consumer with the brand seamlessly. As advancements in technology rise, QR codes will become more visually product enhanced. This means the QR code could launch product information instantly including features like product history, product reviews, social media friends and family members who have used the product, and suggested related products. This feature could boost brand transparency and consumer trust. 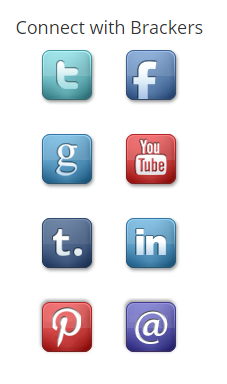 BUY IT buttons will become more embedded in social media promotional ads on networks like Facebook. This would allow, for instance, a potter to collect revenue from social media channels, blog, e-commerce store, and mobile messaging. 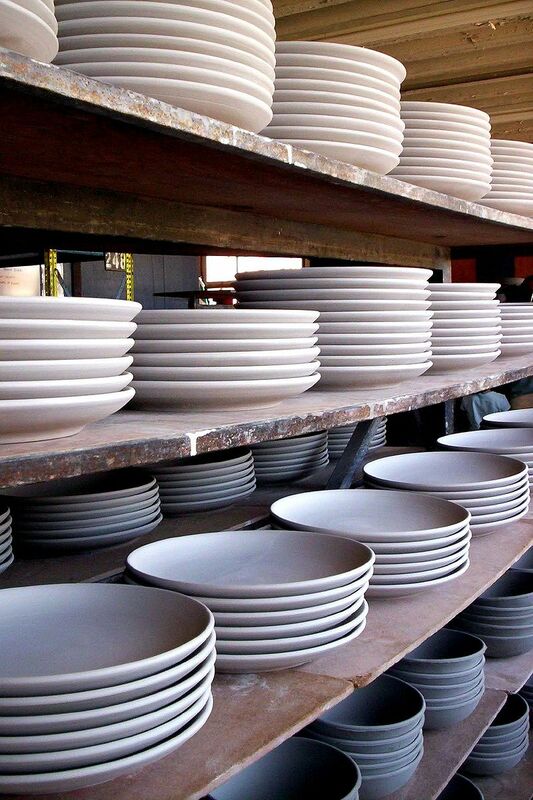 In the ceramics industry, niche markets will excel. In a world where there is a plethora of product to choose from, potters, like brands, will need to stand out from each. By evaluating data from social media tools such as Google Analytics, and listening to consumer chatter with a dashboard monitor like Hootsuite, a brand will embrace co-creation. An example of co-creating is a potter makes a bowl. He or she evaluates keywords, search terms, and other data extracted from Google Analytics to design content to be used to promote the bowl on the social media landscape. Since about 25 percent of all branded search results are user-generated content, listening to and engaging with the consumer develops a partnership directly with the potter to co-create. This user generated content can lead the potter to develop product to fit exactly what the consumer needs, happier buyers, brand loyalty, and the potential of financial growth for the potter. Personalization and brand experience are an ancient concept stemming back to the beginning of the ceramic industry. Traditional marketing strategies have reinvented themselves to a newer, more efficient, and engaging level with social media marketing. The change in human behavior to instantly connect with others and brands and the constant evolution of technology to accommodate consumer needs will allow for brands, like potters, to capitalize on trends including mobile brand messaging, social media real life integration, and co-creating with brand advocates. In the future, with a swipe of a finer across a smartphone, a consumer can connect on the social media landscape, search for a bowl, learn about one he or she likes, press the BUY IT button, pay from his or her mobile wallet, and boast about the purchase on a social network in less time than it took for the potter to make, fire, and package the bowl. Ceramic Arts Daily is the largest interactive ceramic and pottery online community and resource including tools for learning and improving skills, and a platform for artists to display his or her work. The online company offers a plethora of valuable information for consumers, hobbyists, ceramicists, and artists involved in the ceramic industry or have an appreciation for ceramics and pottery. Ceramic Arts Daily’s traditional marketing efforts include the company magazines Ceramics Monthly with a paid subscription circulation reaching more than 108,000 readers and Pottery Making Illustrated with 60,000 readers. The digital marketing energies expand to social media networks such as You Tube with 24,270 subscribers and the Ceramics Arts Daily website with 197,000 users. This gives the company a strong potential to launch a marketing initiative that could go viral. Incorporating viral campaign characteristics, such as interactivity, relevancy, social media optimization, widgets, and badges, could generate the momentum needed for the Ceramics Arts Daily targeted audiences to want to share, engage with, talk about, and re-watch a ceramic related video over and over. In 1990, the movie Ghost sensationalized a potter throwing clay at a potter’s wheel with the infamous sensual scene between the two main actors, Demi Moore and Patrick Swayze. Since then, many parodies of this scene have appeared in television shows, cartoons, and YouTube videos. Ceramics Arts Daily could create a video that contained an interactive component, intriguing beginner potters, hobbyists, and students to become involved and create a personalized ceramic experience. An example of a viral campaign utilizing interactivity and relevancy was Breaking Bad Name Lab on Facebook. The drama television show spawned a Facebook app that transformed a person’s name with element icons and allowed fans to set it as their Facebook profile photo. The success of the campaign was calculated by the 4.1 million impressions and was used by over 800,000 people. 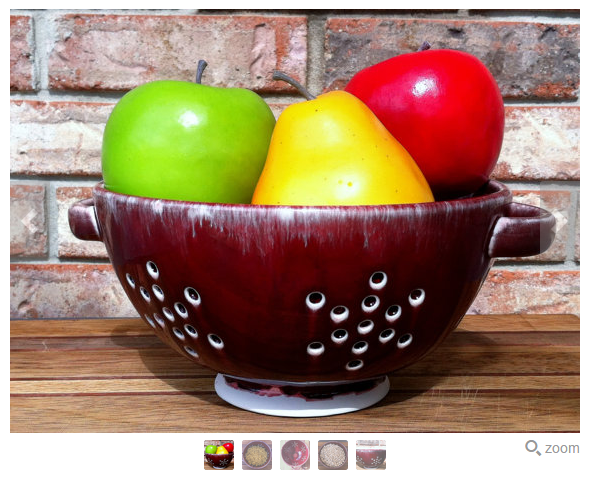 Ceramics Art Daily could launch an app like Let’s Create It which allows students, hobbyists, potters, and ceramic fans the ability to make a pot, glaze it, and post it on social media networks. SMO, Widgets, Badges, Oh My! Cross promoting a marketing campaign on social media networks is a necessity. Today, social networking is considered to be one of the top online activities in the US. In addition, forty-six percent of the online consumers are using social media to search for products before making a purchase. Therefore, social media optimization is imperative. To intensify the integration of social media to launch a campaign, Ceramic Arts Daily could use widgets on the company blog, such as Simple Social Icons and the YouTube Channel Gallery. For instance, this widget allows Ceramic Arts Daily to display the latest videos posted on the company YouTube channel. Widgets make it easy to share videos, blogs, and web pages. A collection of badges implemented on Ceramic Arts Daily website proposes engagement and brand loyalty. Foursquare, a location-based social network, offers mobile users a variety of badges for participating at various destinations through the app. For instance, if someone uses Foursquare at several different airports, he or she collects a Jetsetter badge. Ceramics Arts Daily could create badges such as “A-Glazing” for ten or more downloaded glaze recipes or “On Fire” for researching five or more firing techniques from the website as seen below. Badges keep the consumer and artist excited and frequenting the Ceramics Arts Daily website. on You Tube or a mobile app game like features like Breaking Bad Name Lab. Providing a marketing tactic that can be entertaining or useful on social media platforms, like social networks, blogs, and websites, can generate an instantaneous and globally reach leading to a viral marketing sensation. Viral marketing is the most effective and efficient way for a brand to gets its message heard. With the click of a share button any brand can be viral. When I first started working in ceramics, I was drawn to square forms. I tried throwing on the wheels for about 3 years creating bowls and plates like other potters but I was never as enthralled as when I could make a square piece. I enjoy my slab roller making square slabbed forms boxes such as a charity box or Tzedakah box. I fall in love over and again with my Scott Creek extruder when I mass produce my rectangular sponge holders. I have seen many round sponge holders with cuts in the middle or open holes in the front to house the sponge but logically sponges are rectangular so why wouldn’t sponge holders? It is no wonder the sponge holders have become my number one seller on the Etsy Shop Extrudergirl. 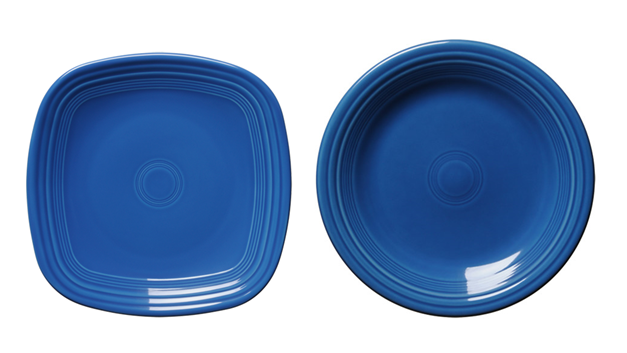 Are round plates fashioned out of habit or functionality? I think as food eaters we are trained from an early age to eat on round plates. Was it easier to form round objects before the potter’s wheel when pinching plates, cups and bowls? In the early years of potter resources were limited so pressing clay in the palm of your hand or onto a surface such a wide stone would lend towards a shape being round. Are round plates out of necessity for space on a dining table? When setting a dining table round plates allows for easy access to the flatware and drinking vessels. Are round plates traditional and square are modern? After all sushi plates, another good sellers of mine, are square or rectangular. The Chinese had mastered porcelain in the early 600AD; the process of kiln firing and glazing that potters continue to use today. Once” trade routes opened to China in the 1300’s” (WorldCollectors), dinner plates became sought after by European nobility; so round plates have been a-round forever. Square or round? You can get the same amount of food on both designs with the same volume. Open your dish cabinet, do you have square or round? I bet they are round. Don’t feel so bad, I am guilty too of only using rounds plates. But rest assure, there are going to be square plates on my Etsy shop soon. Clay flows naturally. The feel of moist de-aired stoneware being manipulated by my fingers, awakens me. The smell of wet earth saturates my soul and elicits me to listen to the clay body. As I slowly pull the malleable form from the left lower bottom, the energy between my fingers and the clay gently guides me along the inner thigh, over the slightly curved belly, and finally gliding up to the neck of a now ceramic berry bowl. Clay seduces me. So do words. My traditional approach of using a medium blue ball point pen embracing the white writing paper engenders fluidly with a soothing current rushing with salacious content. Words impassion me when my fingers frolic across the laptop keyboard with a click chasing echo, enticing readers with the slightest familiar visual touch, the breeze of a seasoned woman’s inflection, and the well-crafted sound of strong punctuation. Taking clay and transposing it into words is like developing a blog for me with a ceramic twist. Clay blogging implores tweeting. And Twitter, a micro blog (Rogers, 2012), puts my clay in the hands of the reader. A rubber band snuggly keeps the clay bag sealed from the Florida humidity. Before I take to a 2” wedge of clay, I determine the goal of its form. Like blogging, I focus on what I want to announce or produce. I research and listen to what my competitors are creating (Li & Bernoff, 2011). I etch out a plan targeting a season, a celebration, a purpose for the consumer to purchase perhaps my berry bowls in various colors. Like in blogging, I “ask for participation” (Jantsch) on the style, are they too short or too wide? I invite feedback on color combinations, are they too bright or too dull? I organize my space, my time allotted for the project, and then, I begin. I construct the berry bowl. After glazing and firing the bowls in the kiln, I list them on my Extrudergirl shop. Just like in my blog, I give the reader a visual focal point to accompany my words (Egan, 2015). I display the completed piece with a crisp eye catching photo to lure the Etsy viewer to buy it. Like the personalization of content in a blog (Sprung, 2015), the mark of the potter can be seen and felt. The Etsy buyer can appreciate the quality of the craftsmanship as they unpack the berry bowl from the box and it is in their hands. If “tweeps” (Schaefer, 2012), fellow twitters, send me a direct message on Twitter or a consumer starts a conversation with me on my Etsy account about the berry bowl, it is imperative to have a “timely response” (Li & Bernoff, 2011). Good communication delivers authenticity and demonstrates that you are listening to the consumer and your tweeps. Clay, blog, tweet is a powerful combination that has helped me and fellow potters build our personal professional brand identity and acknowledgement of expertise. Potters can reach an audience with not just their ceramic pieces but words about clay production, life as a potter, and ceramic technical information (Schwartz, 2015). The ceramic world has a vast presence on Twitter. With the use of hashtags, Twitter networking, lead generation, and a platform for quick product development feedback, Twitter can get the potter back in the studio and not consumed by the social media landscape. A consumer can look at my berry bowl and recognize the quality once they own it. A reader can read my blog and become engrossed with the craft of my words; and Twitter followers can retweet my context that they like. I implore . . . clay, blog, tweet, repeat. It works. Li, C., & Bernoff, J. (2011). Groundswell. Boston: Harvard Business School Publishing. Schaefer, M. (2012). The Tao of Twitter. New York: McGraw-Hill. One of my favorite tools to recommend at Christmas time or when a newbie potter comes in to the ceramic store is the Mudshark. Michael Sherrill designed as series of tools called MudTools which he created out of necessity to suit his ceramic needs. For non-potters you might not see the brilliance in this tool name and design or understand the versatility of its tail, nose, and mouth. The tail is used when throwing a pot to trim or create a 45 degree footed angle at the bottom. This part can cut away any waste sitting at the bottom of a pot or on the bat which the pot is being thrown on. The needle, or nose, can be used for trimming the top of a pot. It can be used to make designs on a pot or plate and for the artist to sign their name on the bottom of their handmade piece. The mouth of the tool can be used to make the rim of a pot, bowl or pitcher. When your done using the tool, the needle nose folds inside and can slip into a pocket, clay bag, or into a tool caddy. Another cool feature like many of the other Sherrill Tools is it comes in six different colors. Mudtools has gone to great lengths to take their brand social. It was going to be hard bait for Sherrill to get into the ceramic tool market swimming upstream against established companies like Kemper, Dolan, and Chinese Clay Art. They needed social media to snag consumers with videos and pictures of their tools not just typical word of mouth promotion or traditional marketing strategies. The company wanted to turn tool trollers into loyal buyers. Michael started out his a social media campaign as his bite indicator on Facebook with pictures of his product. Over the years, Facebook has become his honey hole with a strong following and the launching pad to the other social media networks. He incorporated videos on creating with different Mudtools on YouTube channel and crossed over onto Twitter with tweets of pictures of potters using their favorite Mudtools. Google+ is alongshore of Facebook reiterating special promotions, pictures of their product line, their blog, videos and customer’s working with their tools. Their LinkedIn presence is more lie bank-fishing with a specialized traditional slant of Press Releases emphasizing their support to social and global responsibility. Instagram intertwines their professional and personal side giving a human approach to the company image. Although Michael has a Pinterest account, it is not directly related to MudTools. It is a minnow in the social media marketing strategy at this time. By uniting product pictures, product how-to videos, and advertising promotions on the social media channels, the Mudtool brand identity has defined its value and the company ideals (Botts, 2014). The success of branding can be seen through consumers endorsing the tools and inviting prospective buyers to use them as well. MudTools consistency and frequency on the social media networks allows for credibility, authenticity, and likability. Capitalizing on the mud aspect of ceramics and the quality of the tools became the neutral buoyancy to sustain the brand. 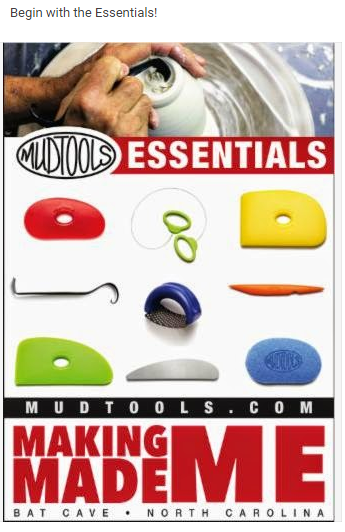 Social media branding keeps Mudtools consumers restocked with the necessary clay studio tools as seen below. Mudtools has remained in the uprush of growth by concentrating on increasing Facebook followers, optimizing YouTube videos, and maintaining Instagram attention. They assist consumers in navigating to their website, product pages and social media platforms. Michael spends time interacting on Instagram, Twitter and Google+ with their followers (Hemley, 2014). There is no daily limit on how brand social can make a company and its products. Once a consumer gets bitten by a MudTools brand, it’s hard to forget how great the tools are.